In their return performance at MTA, the FLUX Quartet, "one of the most fearless and important new-music ensembles around" (San Francisco Chronicle), creates a sonic perfect storm with Tom Chiu’s RETROCON. Alluding to “retrograde convection,” a meteorological phenomenon in which a storm system moves against the basic flow—thus heightening its peak intensity—RETROCON elevates a string quartet into a resonating chamber of symphonic proportions. Commissioned by MTA through the Chamber Music America Classical Commissioning Program, RETROCON will be performed with iconic works by late 20th-century masters Conlon Nancarrow and John Cage, as well as new music by composer-pianist Marc Neikrug and additional emerging composers. 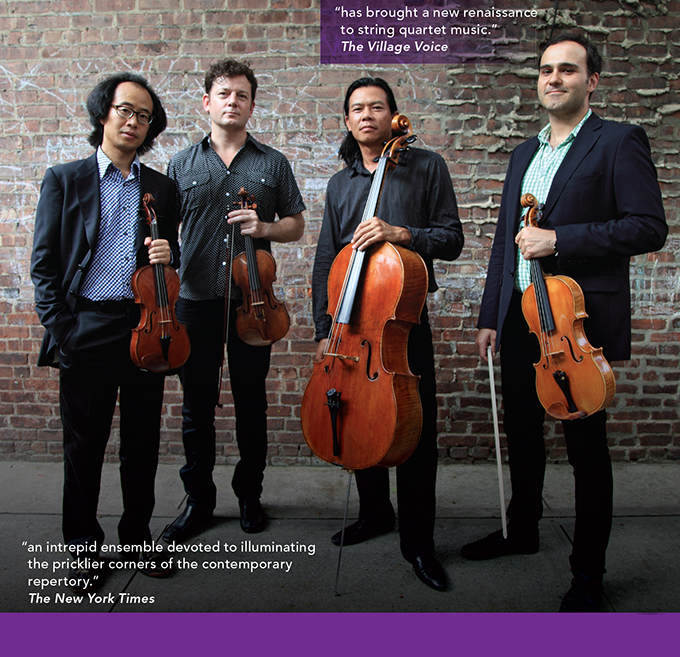 Influenced by the boundary-breaking philosophy of the Fluxus movement, violinist and composer Tom Chiu founded the FLUX Quartet in the late ‘90s. The pioneering new-music group has since become “legendary for its furiously committed, untiring performances” (Alex Ross, therestisnoise.com). Tom Chiu’s RETROCON is made possible by the Chamber Music America Classical Commissioning Program, with generous funding provided by The Andrew W. Mellon Foundation and the Chamber Music America Endowment Fund.